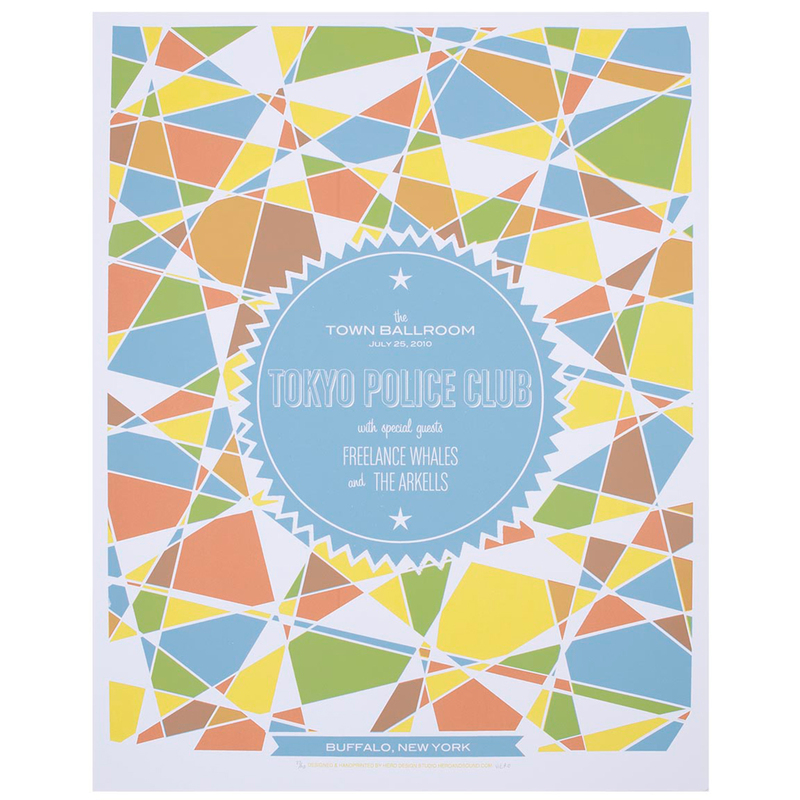 As seen in 2 Broke Girls, the Tokyo Police Club gig poster becomes a unique piece of wall art within the girls living room apartment with its bold color and enticing kaleidoscope pattern. 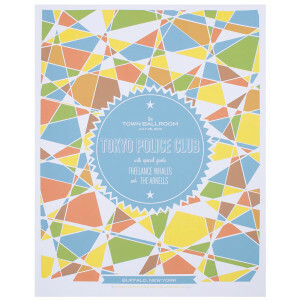 This limited edition print is from the band’s featured performance on July 25th 2010 at The Town Ballroom in Buffalo New York along with performances from the Freelance Whales and The Arkells. 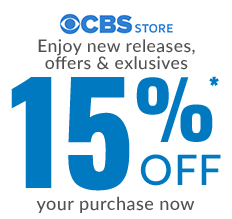 The retro designed concert poster is a rare piece of art in that it is hand silkscreened on smooth cover stock paper, making each print different, and one of a kind.